Took the wife and kids to Venice Beach today. I grew up in Long Beach but as I, incredibly, had never been to Venice Beach. Otherwise I would never have dreamed of bringing my family with me, naturally. 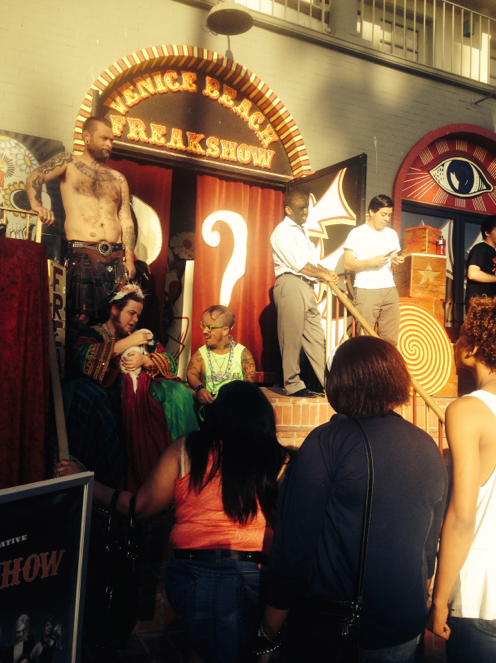 Anyway, the boardwalk there there has a freak show. For five bucks you can see a man with tattoos all over his body and a bearded woman. In other words, the exact same people you see walking up and down the Venice Boardwalk. For free. This freak show needs to hit the road – maybe downtown Bismarck, North Dakota or something.